Contrasting stitching on dark coffee brown leather gives this reclining loveseat its sporty and welcoming look. Lay back and sink into the supportive, bucket-style seats for a nap or binge watch session. 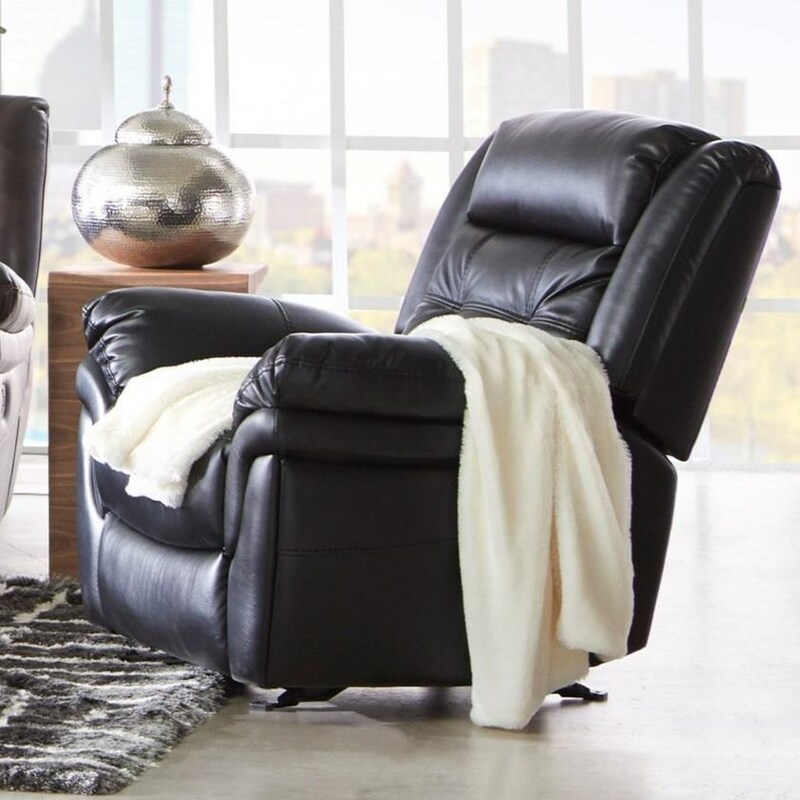 The 5700 Casual Recliner with Contrast Stitching by Cheers at Household Furniture in the El Paso & Horizon City, TX area. Product availability may vary. Contact us for the most current availability on this product. Seat Support No-sag sinuous wire springs with additional support in "seat zone"
This handsome style is available as a matching recliner, sofa, and loveseat. Choose the best size to fit your living room or great room. It's a great way to get the gorgeous look and feel of leather for an affordable price. The 5700 collection is a great option if you are looking for Casual furniture in the El Paso & Horizon City, TX area. Browse other items in the 5700 collection from Household Furniture in the El Paso & Horizon City, TX area.